Beautifully finished and available now these fantastic two bedroom, two bathroom Pool Villas offer very open plan living and dining areas all centered around your own private pool. Villas are built now and ready to occupy or rent out. Great location only a short stroll to the magnificent Cheon Mon Beach, other luxury Resorts and Spa's, bars and restaurants. Don't judge a book by its cover. This Villa needs renovation, but the Villa is solid as a rock and has truly AMAZING Sea Views. Some paint, tiling and perhaps a new kitchen and this Villa is a dream come true.Great location in Bang Por, Koh Samui, and is only a few hundred meters from the main ring road and the beach. Bargain! A 2 bedroom property with a private swimming pool, fully gated and secure only 40 metres from Bophut beach! This property cannot be beaten for beach lovers, located very close to the famous Zazen resort on Bophut beach, Koh Samui. Sold fully furnished with parking for 2 cars, large garden and swimming pool. Four fantastic new one and two bedroom fully furnished Apartments, all four Apartments are side by side and open on to a huge terrace and communal swimming pool in a beautifully maintained Boutique Hotel/Resort in a very central quiet Soi in Maenam. Beautiful Seaview Duplex villa located in a quiet mountainside area of Bang Por in Koh Samui. Features a beautiful western fully fitted kitchen with granite countertops. Each duplex has it's own private swimming pool. Secluded area and peaceful setting yet very close to the main road and restaurants. 3 apartments for sale in Lamai, Koh Samui, right in the centre of town and very close to the beach, reastaurants bars and cafes. Features a very private and lovely swimming pool and patio area behind. Beautifully designed two bedroom Pool Villa for sale now in Lipa Noi, in a gated absolute Beachfront Estate, 100 meters walk to one of the best beaches on Koh Samui.Two bedrooms, two bathrooms, open plan living, dining and outdoor entertaining area and private pool. Great central kitchen with Island bar. Land size: 1092m2 Land Title: ChanoteLocation:Lipanoi, 10 mn from Nathon and 5 mn from Lipanoi Beach.Description:3 bedrooms, 2 bathrooms, Air Con, Fully Equipped European kitchen, Water, Electricity, Telephone, Swimming Pool, Car park, Perimeter wall with main entrance gate, Access Road, outside terrace 80sqm. Beautiful 3br property in the Jungle of Lamai very close to the Lamai-Maenam road. The property has a private swimming pool, walled in and gated for privacy and security,2 bedrooms upstairs along with the kitchen, living room overlooking the swimming pool. Newly built two bedroom pool villa on approximately 800sqm of Chanote titled land in a great central location in Maenam Soi 3.Open plan living, dining and outdoor entertaining areas, hostess kitchen, beautifully landscaped tropical gardens.This Villa also has an outdoor kitchen/dining area enclosed in the pool sala. A stunning new property, just on the market! This 3 story, 3 bedroom townhome is located at the end of a quiet street in Bophut, Koh Samui, very close to the popular Fisherman's Village and Bophut Beach. Shopping is nearby, and only a 5 minute drive to Tesco/Lotus and Big C shopping centres, and less than 10 minutes to Central Festival in Chaweng. This Stunning three bedroom Balinese Style Villa we have just added to our Koh Samui property portfolio and it comprises very open plan modern and airy living and dining areas, large beautiful private swimming pool and outdoor terraces and entertaining areas.Beautifully furnished and fitted out and someone will absolutely fall in love with this Villa, I have. This villa provides an incredible investment opportunity, with full rental infrastructure in place including gardener, pool cleaning, maids and maintenance staff. The villa rents out extremely well on bookings.com and Airbnb and provides a gross 14% rental return. Just listed at a give away price. This three bedroom 180sqm Pool Villa is set on a 600sqm land plot in a Gated Estate in Bophut, Koh Samui. All Villas in this Gated Estate achieve very high rental returns and occupancy and we really do not have anything on our books that even compares to this Villa as far as rental return, occupancy and price. A limited number of these stunning double story two bedroom Town Residences are available now. Beautifully finished and offering very modern open plan living and dining areas.Lovely communal swimming pool and tropically landscaped gardens in a fantastic central location just a short stroll to Cheon Mon beach, Koh Samui, restaurants and bars. -------> Available for Purchase <-------2BR Garden Villa with Private Pool 50m from the BeachA private estate featuring modern pool villas in a quiet area of Lipa Noi Koh Samui, only 100 meters from the main road. The houses are equipped with everything necessary for holiday rental and full-time residency. A stunning brand new 3 bedroom pool villa located in the excellent Bang Rak area, Koh Samui. 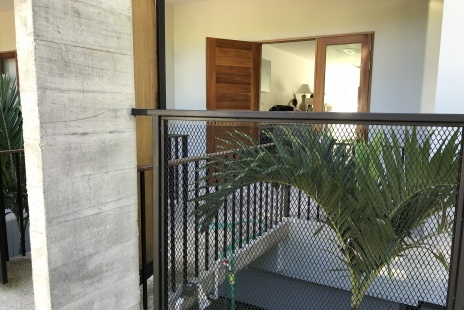 The property is fully walled in and features a gated entrance, modern push button lighting, plenty of outdoor living area with a beautiful private swimming pool. Inside you will find 3 bedrooms, 2.5 baths, a stunning modern fully equipped western kitchen and more.